Call The Midwife is a drama series adapted for television by Heidi Thomas from Jennifer Worth's best selling memoir, book of the same name. The series is a colorful look at the world of midwifery and family life in 1950's East End London. 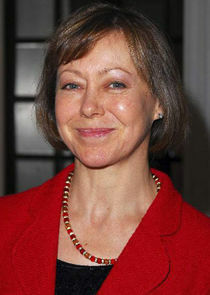 The series features It stars Jessica Raine, Miranda Hart, Helen George, Bryony Hannah, Laura Main, Jenny Agutter, Pam Ferris, Judy Parfitt, Cliff Parisi, Stephen McGann, Ben Caplan, Emerald Fennell, and Victoria Yeates.